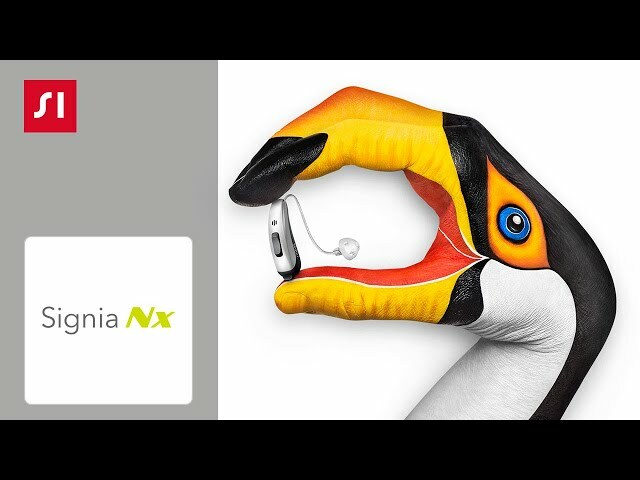 Signia Nx, the world’s most advanced hearing aid platform, delivers unsurpassed first fit acceptance by combining uncompromising audibility with a natural sounding own voice. Learn about the Signia Hearing Aids that Chears Audiology provides including Pure 312 Nx, Pure 13 Nx, Motion 13 Nx, Styletto NX Connect, Silk Primax, and Cellion Primax. See the new Styletto Connect! It's a revolution in sound, style, streaming, and charging-on-the-go. Description: Equipped with all the benefits of the new Signia Nx platform, Pure® 312 Nx keeps the wearer’s own voice and remaining soundscape in perfect balance. This way, it offers the most natural sound and highest hearing performance in a small, elegant housing. 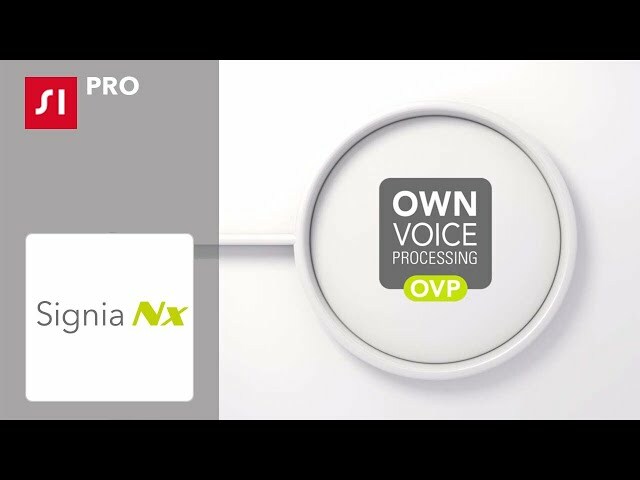 Description: By separately processing the wearer’s own voice and integrating it smoothly into the soundscape, Signia’s new Pure® 13 Nx provides the most natural own voice and superior speech understanding in noise. Description: Signia’s new Motion® 13 Nx harmonizes the wearer’s voice and the surrounding sounds, providing the most natural own voice and superior speech understanding in noise. Its sleek, new housing design offers individual handling and fitting options to meet almost all of your patients’ wishes. Description: The new Silk Nx delivers a natural hearing experience in its discreet size, instant fit, and exceptional sound quality. The only ready-to-wear CIC with Ultra HD e2e for superior wireless binaural processing is also 20% smaller than Silk primax™ for ultimate discretion. Thanks to its flexible silicone Click Sleeves, Silk Nx offers a precise fit without waiting times. And for wearers with unaidable hearing loss in one ear, CROS Silk Nx provides the most discreet solution – the world’s first CROS CIC hearing aid. Silk Nx is compatible with the touchControl App for discreet remote control and TeleCare ready for smoother trials. Description: The new Pure Charge&Go Nx combines all the advantages of Signia Nx with convenient wireless rechargeability. It is intuitive to handle because we integrated wireless charging into its design. Wearers no longer worry that they might struggle to change disposable batteries. Only this contactless charging system gives wearers complete convenience, knowing that the hearing aids charge as they should every time. The high-capacity Li-Ion power cell of Pure Charge&Go Nx supports top Bluetooth connectivity, allowing wearers to enjoy long-lasting high-quality audio streaming. By charging up the power cell while they sleep, they can trust their hearing aids to always deliver the sounds they want to hear. Simply Charge&Go! Description: The new Styletto from Signia is more than just a hearing aid — it’s high-tech, slim, and stylish. The world’s first slim receiver-in-the-canal (Slim RIC) hearing aid, Styletto transforms the look of hearing aids with a unique design you’ll want to show off. This elegant new device for wearers with unaidable hearing loss in one ear delivers all the benefits of the Signia Nx platform in a BiCROS fitting. The ideal solution for wearers who want high performance, discretion, and full connectivity, CROS Pure 312 Nx from Signia keeps the wearer’s own voice and remaining soundscape in perfect balance. It offers the most natural own voice and best speech understanding in noise in a small, elegant housing. The most discreet natural hearing experience for CROS wearers. The world’s first CROS CIC for people with unaidable hearing loss in one ear. The new CROS Silk Nx receives sound on that side and transmits it to a hearing aid on the other side. CROS Silk Nx from Signia delivers a natural hearing experience in its discreet size, instant fit, and exceptional sound quality. It supports Signia’s Ultra HD e2e for superior wireless binaural processing. Wearers enjoy a natural sound quality everywhere, even when listening to music with over-ear headphones. Thanks to its flexible silicone Click Sleeves, CROS Silk Nx offers a precise fit without waiting times. CROS Silk Nx is compatible with the touchControl App for discreet remote control. It enables wearers to adjust the CROS volume and binaural balance level with just a few taps on their smartphone. Silk - Click. Fit. Go. Hearing Loss Matters, Contact Us Today!